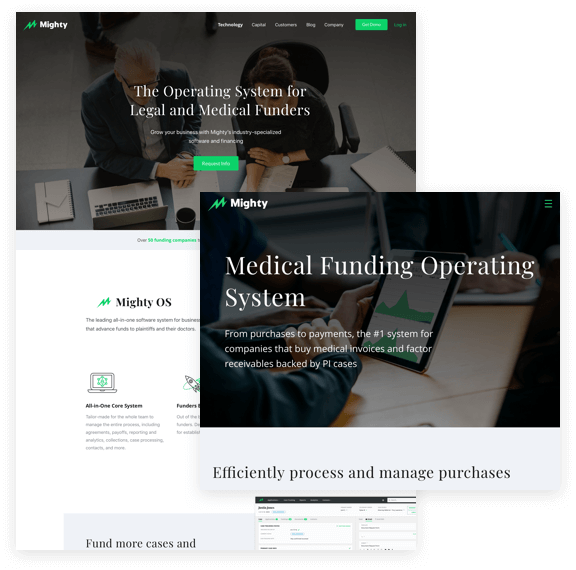 Mighty had great news—the launch of MightyCapital and raising $114M—and needed a new website. 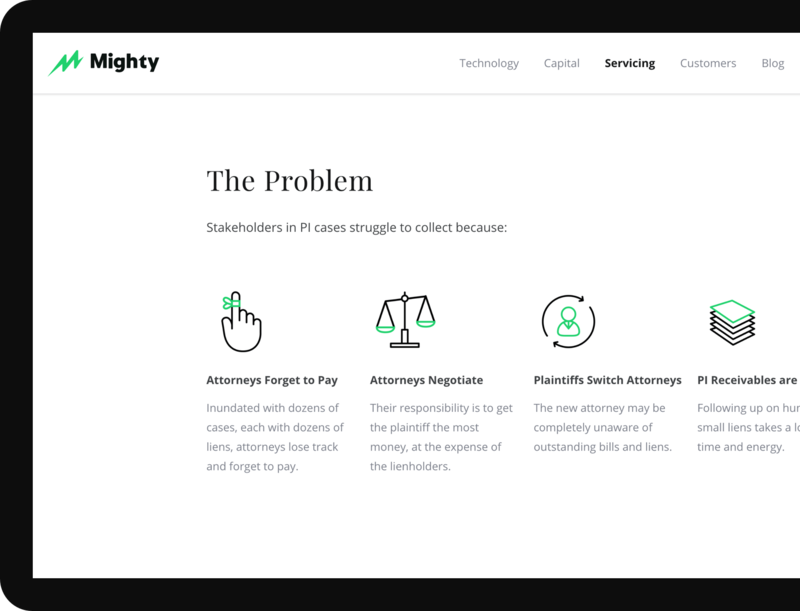 We designed custom icons to represent each core feature, and then animated them. 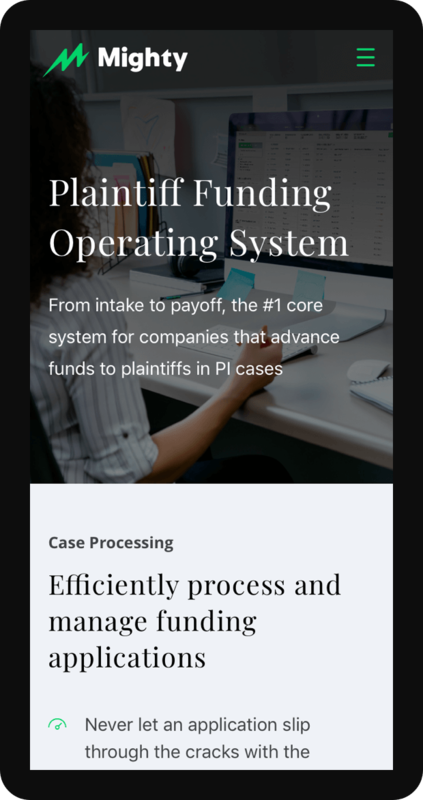 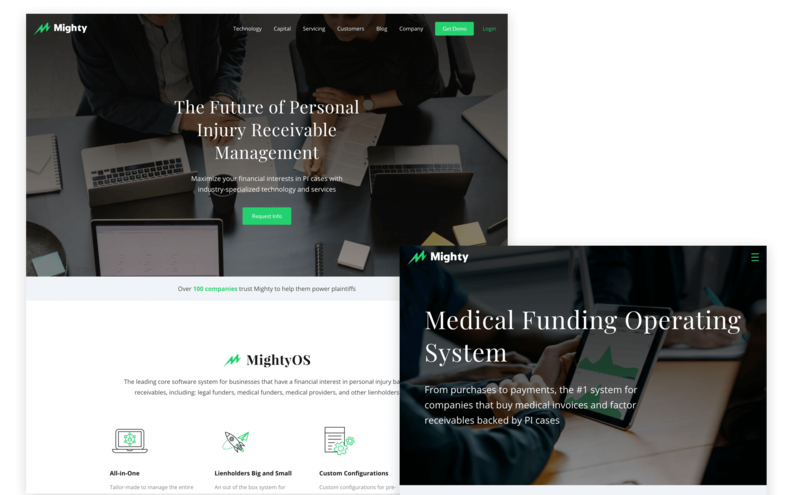 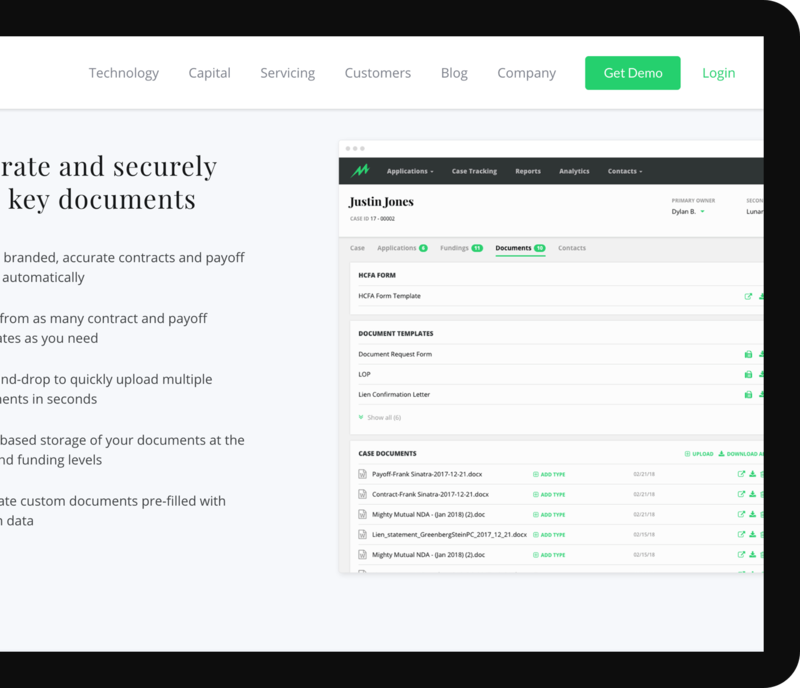 Mighty is "the Future of Personal Injury Receivable Management" and we helped them make a website that shows why and how it's done. 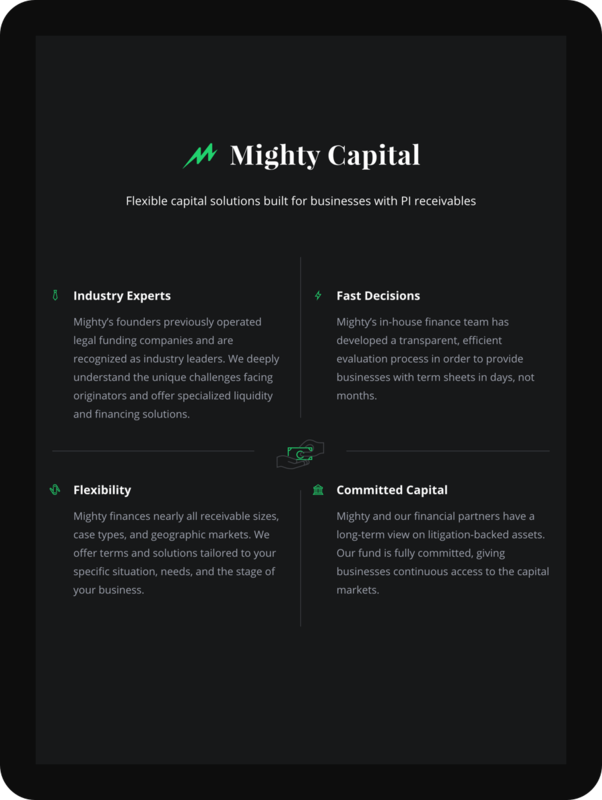 Mighty Capital offers two industry-tailored, highly flexible solutions from a non-competitive enterprise to meet the financial needs of growing businesses in the industry.